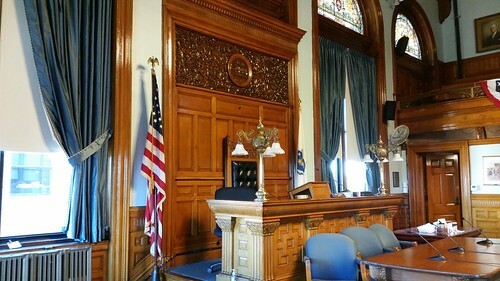 If Lowell City Council agendas were books, this week’s agenda would be a trilogy. Meetings every other week and the end of the fiscal year financial housekeeping are the reason. Extend Existing Institutional (INST) Zoning District to include all of 39 Plymouth Street. Amend Zoning for 232-234 Mt. Vernon to Urban Mixed Use (UMU) Zone; and Light Industrial for 26 Mt. Vernon St.; 294 School Street and 5 Farnham Street. Request License for additional storage of flammables at 566 Pawtucket Street (Hess Station). National Grid: Permission to install 1,720 feet of new gas main from 1852 Middlesex St. to Chelmsford Line. National Grid: Relay gas main on Chelmsford Street from Howard St. to Liberty Street. National Grid: Install 1 joint owned pole in public way to service new home on Clarendon St.
National Grid; Install underground secondary conduit from new handhole service to new home. National Grid: Installing 2 – 5 conduit from Quebec Street. The three-age Response, written by Diane Tradd, Assistant City Manager/DPD Director, outlines the various Housing and Urban Development funds and programs available for the non-profits. A list of those organizations that receive funds is also provided. Response was prepared by R. Eric Slagle, Director of Development Services writes in part, “Given the three-year cycle for the rental unit permits, we divided the City into thirds by street address, and mailed out applications to the first group of addresses in January of 2013. Development Services sent a second follow-up letters to the multi-family owners who had not responded to the initial mailing. We followed the same process for the remaining two-thirds of the City in 2014 and 2015, for the first cycle of registrations. Response prepared by Fire Chief Jeffrey Winward states that the I FY 2018 for turnout gear, the LFD was allotted $100,740 in Operating Budget and $128,413 in the Capital Budget. FY 2018, LFD has been allotted $100,000 in the Operating Budget for turnout gear. So far they have purchased 86 sets of pants and coats; 101 pair of boots; 91 pair of firefighting gloves; and 6 helmets and helmets shields. Listing of FY 2018 transfers over $20,000. Planning Board recommendation regarding proposed Zoning Code change at 39 Plymouth Street. Planning Board recommendation regarding proposed Zoning Code amendment to re-zone parcels located at 232-234 Mt. Vernon, 286 Mt. Vernon, 294 School St., and 5 Farnham St. Appoint Vanna Howard to Lowell Housing Authority. There are 11 votes under this agenda item. The first one is to authorize an agreement for limited access to Tanner Street. The remaining 10 votes are related to budget transfers. There are 11 petitions on this week’s agenda. They focus on parking and utilities. CITY COUNCIL MOTIONS: There are 20 motions on the agenda. It might be a record. Councilor J. Leahy request City Manager have Department of Public Works (DPW) repair section of the Pollard Library roof. Councilor J. Leahy request City Manager have National Grid identify trouble spots concerning electricity throughout the City and their plan to remedy them. Councilor J. Leahy request City Manager provide an update regarding installation of “Pickle Ball” Courts throughout the City. Councilor J. Leahy request Mayor provide a report to the City council regarding the status of thetv studio at Lowell High School. Councilor K. Cirillo request City Manager instruct proper department provide a report to the Council regarding the age and condition of the playground equipment at Hovey Playground on Aiken Street in Centralville. Councilor K. Cirillo request nonprofit organizations Sub-Committee meet with the various non-profit groups based in Lowell in order to explore initiatives designed to increase public awareness and to educate residents regarding the various programs available through non-profit organizations in Lowell. Councilor D. Conway request City Manager and Department of Planning and Development meet with MassDOT (Massachusetts Department of Transportation) for the purpose of addressing and mitigating the traffic in the City during construction projects on the roads and bridges; plan to include time tables for completion of the multiple projects and a presentation of the plan for the public. Councilor R. Elliott request City Council work with Plug in America to set up an event in Lowell for National Drive Electric Week. Councilor E. Kennedy request Education Partnership Sub-Committee host a presentation regarding Project Learn. Councilor R. Mercier request City Manager contact Department of Public Works (DPW) to investigate whether Pickle Ball can be played on the Shedd Park Tennis Courts. Councilor R. Mercier request City Manager contact Mass Highway Department to install “Welcome to Lowell” sign on Middlesex Street entering from Town of Chelmsford. Councilor R. Mercier request City Manager contact Mass State Highway Department to inspect and ensure trees are safe along section of Route 495 that abut Chrystal Street off Woburn Street. Councilor R. Mercier request City Manager explore possible repair improvements to the Bridge Roadway on Pawtucket Street near UML Dorms and Father Morisette Boulevard.Councilor R. Mercier request City Manager have Department of Public Works (DPW) Commissioner apply for Domino’s Pizza Grant of $5.000 to aid in road repairs. Councilor V. Nuon request City Manager have Department of Public Works (DPW) install appropriate lighting at Fort Hill Park. Councilor V. Nuon request City Manager have Lowell Police Department (LDP) provide an update regarding the status of Lowell Citizen’s Police Academy. Councilor V. Nuon request City Manager have Traffic Engineer review traffic patterns at the intersection at Westford and Wilder Streets, as well as at Middlesex and Wilder Streets and report on whether the installation of traffic signals are appropriate at these locations. Councilor V. Nuon/Mayor B. Samaras request City Manager instruct Superintendent of Police and all involved to identify any problematic areas in the City and plans to address the situation(s). Councilor V. Nuon/Mayor B. Samaras request City Manager provide an update regarding staffing at the Police Precincts in the City, particularly during nights and weekends. Mayor Bill Samaras request City Manager look into the installation of Pickle Ball Courts and other activities for Senior Citizens at Shedd Park and other public parks throughout the City. What I find interesting is what continues to not be found on the agenda. The city brought bargaining agreement offers to at least some employees at the start of spring, which were accepted by labor votes more than two months ago. There have been no agreements brought before the council for ratification or funding. There is nearly two million dollars in the manager’s account for employee bargaining agreements, which the council approved in the budget, as well as significant reserves the budget claims are available.